Edinburgh World Writers’ Conference: Should Literature be Political? The Malaysian stop of the Edinburgh World Writers’ Conference (EWWC) kicked off with one of life’s eternal questions: Should literature be political? 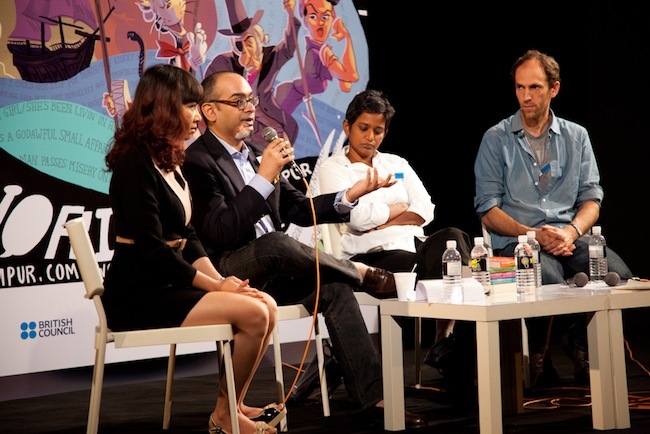 The panellists were authors Benjamin Markovits, Shamini Flint, Di Li and Huzir Sulaiman, moderated by the dulcet tones of BFM’s Sharaad Kuttan. As you’d expect from such a varied panel, the opinions were divided. “It’s fine to talk about the weather, that is, non-political things,” claimed Benjamin Markovits, his stand being that literature should above all be interesting, rather than moral or political. Vietnamese author Di Li was of the opinion that in literature, politics and aesthetic value affect each other and are inseparable – it is impossible to value one over the other. Huzir Sulaiman, who has spent his entire career strenuously resisting political labels and what he terms “repression cred”, claimed that by and large the Western media is only interested in Asian authors as figures of political repression or rebellion. “If you’re murdered, you win,” he commented drily, upon explaining the values placed on the repressions of writers from developing countries. Rishi Reddi. Photo: Stacy Liu. A nervous Rishi Reddi took to the lectern at Black Box to deliver a post-lunch keynote speech on the second day of #Word. As a writer of Indian descent and American upbringing, she was uniquely positioned to deliver a lecture on multiculturalism and literature, and where the two intersect. Reddi began by explaining a little about her own life – her arrival in America at a young age, her childhood in various provincial American towns, and the tension between her Indian home and American friends and schooling. She then posited that the two ultimate goals for a reader were these: to identify with the characters in a book, whether through gender, nationality, circumstance or personality; and conversely, to learn something new. Her lecture explored these themes, especially the idea of learning through literature. “If you can live wholly in one character, you take a step away from stereotypes,” she stated, and as an observant audience member later commented, Reddi’s own work and ideas of multiculturalism in literature bring her two goals together. Omar Musa. 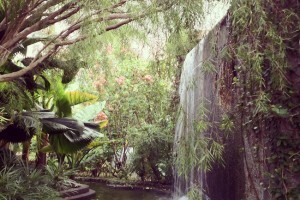 Photo: Stacy Liu. 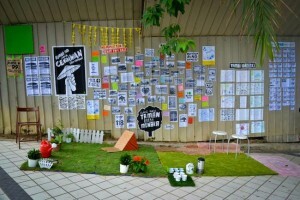 Bernice Chauly and Sharon Bakar’s regular event was brought to a larger stage at The Bee for The Cooler Lumpur festival. With a large turnout and several curious onlookers, the first session saw Brian Gomez open the show with a reading of his short story “Mud”. Narrated entirely in character, it was a darkly funny tale of an Indian tycoon and his slippery, dangerous relationship with money. Then came Filipino poet Lourd de Veyra with his rhythmic, visceral poems about Manila and, aptly, smoke. Adding to the regional line up, Thai novelist Wipas Srithong read a translated excerpt from his award-winning novel, The Dwarf. It’s a tale of a dwarf who is kidnapped by strangely well-meaning captors and sadly for us, is currently only available in Thai. 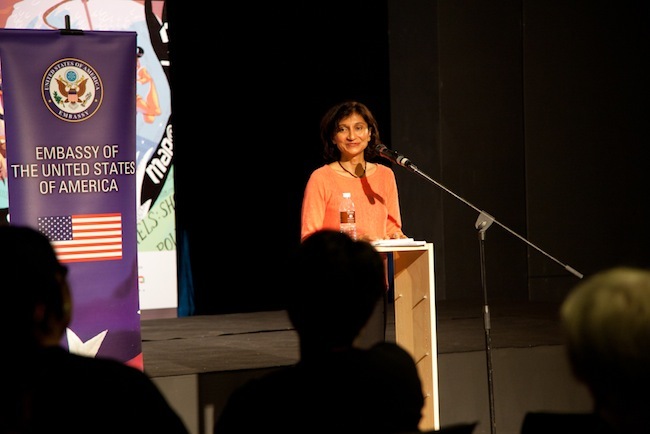 Shamini Flint took us to the break with a reading from her Inspector Singh series, following the Singaporean detective Inspector Singh to investigate an Indian murder. 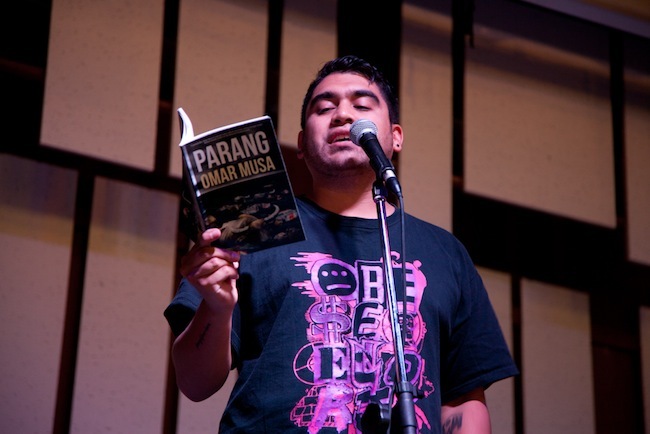 Much hyped Australian hip hop artist Omar Musa performed from his latest book of poems, Parang, with a well-meaning monologue in Malay about interconnected souls and blood. American author Rishi Reddi followed with a reading from her upcoming novel West, a work that explores Punjabi-Mexican relations in California. Then came Bernice Chauly, with a selection untitled poems to be published later this year. The show was undoubtedly stolen by Jo Kukathas, who read from her ‘thing’ (its future as prose or performance piece not yet being determined). 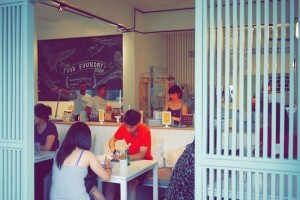 Titled “4A Kuala Kangsar Road” it was an evocative, meandering tale of family and strife in Ipoh and New York. DISCLOSURE: The Cooler Lumpur Festival is produced by PopDigital, the company that publishes Poskod.my. (Updated 24.06.13).